Brown County Ohio represented the gateway to freedom for 100s if not 1000s of escaping slaves willing to risk their lives crossing the Ohio River. The runaways would hide on the Kentucky side of the river until they saw the light high on the hill. When that light appeared it meant it was ok to come across and make their way to the small cabin at the top of the hill. 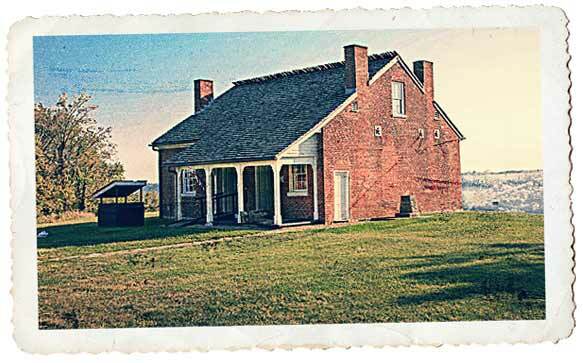 Reverend Rankin's house in Ripley was a beacon that directed these slaves and represented a place where they could count on getting food, shelter and guidance on the long journey that lay before them that would eventually take them to Canada and freedom. Although Ohio was a free state, it was not a safe state for runaways. Georgetown is the county seat of Brown County and is best known for being the childhood home of Ulysses S. Grant. The house where Grant grew up has recently undergone extensive and detailed reconstruction of the 1820s house so that it closely resembles the house the way it looked in 1839, the year that Grant left home for the Military Academy at West Point. Like many of Ohio's counties, Brown County was named for a notable figure in either the Revolutionary War, or the War of 1812. Brown County was named for General Jacob Brown. Although Brown was a Quaker and opposed to war, he was a member of the New York militia. With the rank of brigadier general, he became responsible for organizing the defenses of the Great Lakes. He became a national hero after he led troops in battle multiple times against the British and and was awarded the Congressional Gold Medal. The naming of the county was strictly an honorary action and Jacob never lived in or visited the area. The 1793 cabin was constructed by two scouts, Dixon and Washburn. 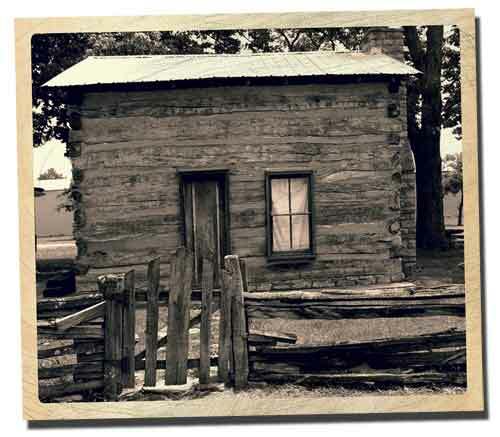 They came here in 1793 and built the cabin along Eagle Creek. The cabin was uncovered and moved to the Brown County Fairgrounds back in the 1970s.